Jeep Night is typically held on the second Thursday of each month, unless changes are made beforehand. Information on Jeep Night and other events held by our Jeep Clubs can be found on Our Facebook Page. You can also get in contact with Burns Motors' Big Lew at (956) 984-4554 or via email at biglew@burnsmotors.com. 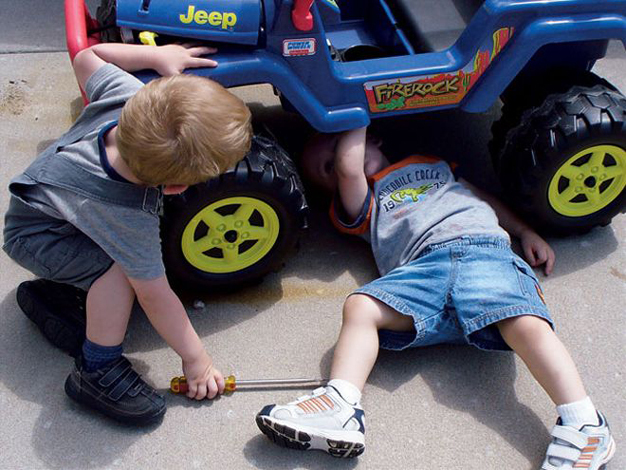 Burns Motors would also like to remind everyone that they are available for any Jeep or automotive needs you may have. 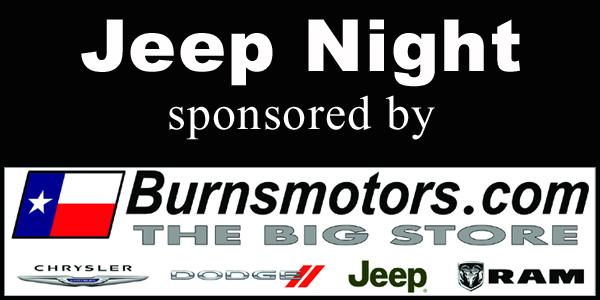 We had a quick recess for the months of May, June, and July but coming up in August we will be back to our regularly scheduled Jeep Night, every second Thursday of the month. Jeep Night this January was intended for Jeepers to meet up and have a leisure evening. This month we took a break from the competitions and just enjoyed each other's company. The weather conditions at this month's Jeep Night were less than ideal. Although it was the coldest day of the year, Jeep Night still went on as planned. There is a lot to be thankful for all year round and the month of November is a special time when we can do just that. There was a change in scheduling this time around making Jeep Night fall on the 3rd Thursday of the month. On October 13, Jeep Night attendees anticipated the arrival of a new member, Olivia Emmanuelle Garza, to be born on Saturday, October 15th. In celebration of this blessed event the theme of the night was Diaper Night. Jeep Night for September was held on the second Thursday of the month. Various Jeep Clubs were in attendance including Texas Jeep Crawlers, South Texas Rebels, Texas Off-Road Republic, and South Texas Jeeps. The crowd was noticeably larger at this month's Jeep Night. Those in attendance included Texas Jeep Crawlers, South Texas Rebels, South Texas Jeeps, and Texas Off-Road Republic. We also had some exciting events in the month of June. The 2nd Annual Rio Grande Valley Jeep Jam was held on Saturday June 25th. Texas Jeep Crawlers and South Texas Rebels also had an East Cut Fishing Trip Saturday evening, June 25th. These are a few events held by our Jeep Clubs and Jeepers. Jeep Night for the month of April was solely for Jeepers to meet up and have a leisure evening. Jeepers hanging out with Jeepers doing what Jeepers do best. Jeepers gathered for Jeep Night's "Super Bowl Party' at Big Lew's place. Guests were welcome to activities such as football, basketball, and corn hole before and after the Super Bowl game. In the spirit of the holidays December's Jeep Night was held in benefit of the Marine Toys for Tots Foundations. Many thanks once again to RGV Pro Lighting for hosting such a special event. It is the season of giving and this month's Jeep Night was dedicated to just that. November was committed to collecting canned goods for the local food drive. Halloween came early this year and to no one's surprise this month's Jeep Night theme was "Jeepers Creepers". Music billowed through the air September 10 as Jeepers and their guests gathered for "Karaoke Night" at this month's Jeep Night. Singers of all ages showcased their talent with an array of genres. There was no better way to kick off the football season than to spend an evening at The River for Jeep Night. This month's theme was "NFL Pride Night" and everyone was sporting their favorite team Jerseys. Texas Off-Road Republic joined South Texas Jeeps and Texas Jeep Crawlers in showcasing their prized set of wheels for this month's award of "Dirtiest Jeep". 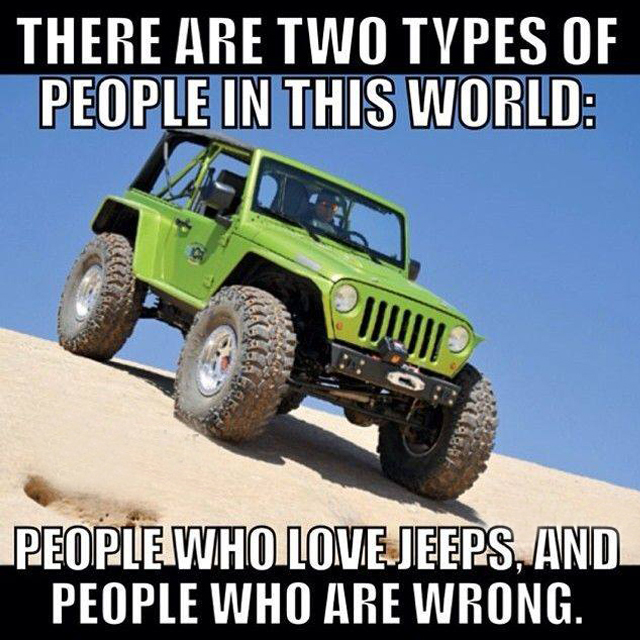 Each month Jeep enthusiasts gather at The River (formerly Pepe's on the River) for an evening of fun and fellowship. All Jeep owners are invited to come and participate in the themed competition for that month. On Saturday, May 23, 2015 Jeep owners from two RGV Jeep clubs, South Texas Jeeps and Texas Jeep Crawlers, gathered at The River in Mission, Texas to participate in the First Annual RGV Jeep Jam to benefit the Juan Diego Academy Catholic Regional High School. Dude! It's gonna take more than just a screw driver this time!